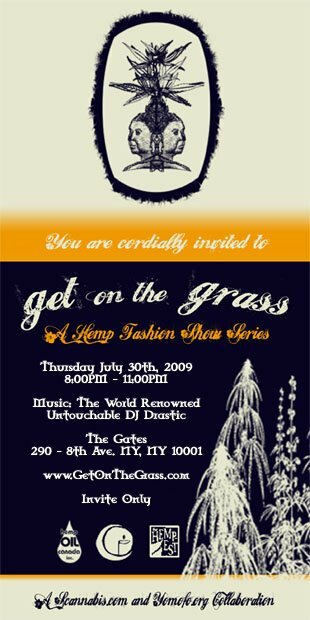 “Get On The Grass” is a series of ready-to-wear Hemp fashion shows. Hemp fashion is modern, stylish, and the perfect choice for eco-minded stylish shoppers. We are working with the Hemp clothing industry’s elite such as Livity Outernational, Hemp Hoodlamb, Satori Movement, and Kana Beach. Six shows will take place at popular New York venues beginning on Thursday July 30th, 2009 with a Labor Day Weekend show in Sag Harbour. A finale will take place during fashion week. “The Gates,” housed in an iconic 1845 Chelsea building at 290 Eighth Avenue, is the latest incarnation of a space that brings together the best of the 20th Century with the possibilities and excitement of New York City’s future. Once a speak-easy, the building has now become home to “The Gates,” which will most certainly mark a new chapter in the city’s nightlife history. Kept private from the street by a pair of heritage brass gates after which the venue is named, “The Gates” features an interior salvaged from the art-nouveau masterpiece Biltmore Hotel in Midtown. The decadent space with lavish marble walls, an open fire place, and crystal chandeliers reflects the timeless and classic nature of genuine luxury. “The Gates” features an exclusive line-up of the world’s greatest DJs, events, premieres, and launches. Each event fuses its own iconic style. Music: The “World Renowned” Untouchable DJ Drastic Guaranteed Live! 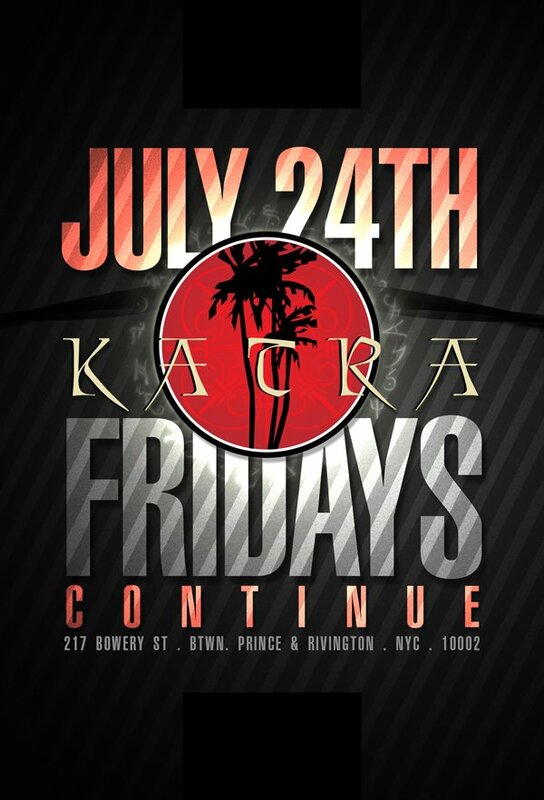 KATRA Fridays is this summer’s number one upscale engagement. “World-Renowned” Untouchable DJ Drastic & DJ VTONE Guaranteed Live! Enjoy yourself in an authentic Moroccan decored environment with a plush matias, handcrafted vases, and intricate rugs that add a laid back, calm feel to the ambiance. This hotspot also has intimate nooks for your relaxation needs that splash you from above with a cascade of scarlet light. However, don’t let the intimate setting fool you. Katra sports spacious areas where you can enjoy the pulse pounding House beats of resident VTONE. If House is not your style, the layout of the lounge let’s you enjoy an entirely separate floor of Hip Hop, Mash-Up, 80s, Rock, and Pop music headlined by world-renowned Untouchable DJ Drastic, now back in the United States. Patrons can indulge in the genuine tastes of fusion style Tapas and spiced beef patties or even a merguez sandwich as prepared by Jean Georges’ very own, Chef Jonathan Lindenauer in the lofted areas upstairs. With the kitchen open until 2:00AM, you can enjoy both the music and the tastes of a world so far away, right in the heart of New York City. Hookahs are also available upon request. Additional DJ Sets: Rizzi, Anna Cavazos, A1, & Dom R.
This is the official memorial keepsake and program distributed to guests of Michael Jackson’s public memorial which took place at The Staples Center in Los Angeles, California on Tuesday July 07th, 2009. 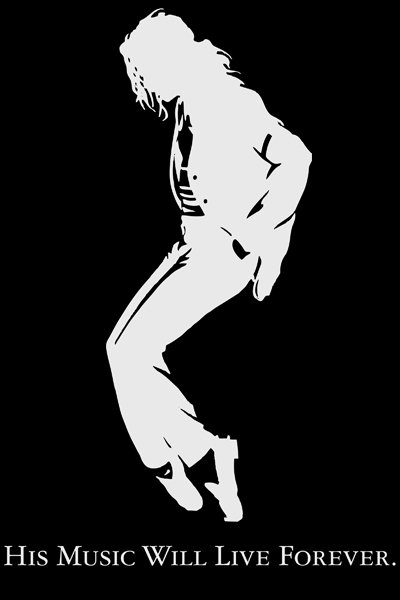 Michael Jackson is forever in our hearts. 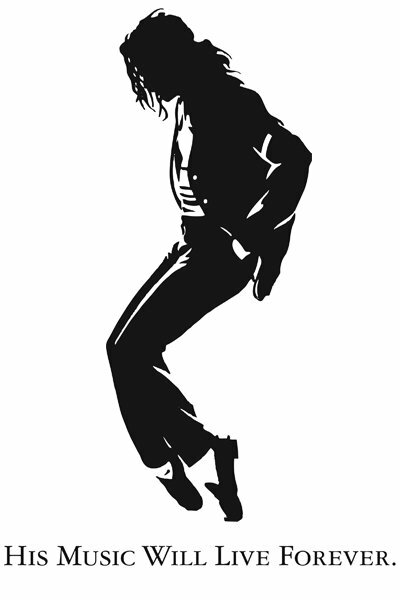 Remember, The King of Pop! Michael Jackson’s Public Memorial Service @ The Staples Center (Los Angeles, California) | Register For Tickets Now! Michael Jackson’s public memorial service will take place on Tuesday July 7th, 2009 at 10:00AM (PST). It will be held at the Staples Center in Los Angeles, California. It will also be simulcast inside of the Nokia Theatre. A limited number of free tickets to both venues will be made available for Michael Jackson’s fans to attend the public memorial service. Due to the expected overwhelming demand, the following procedures have been set to accommodate registration for tickets. The opportunity to register for tickets begins at 10:00AM (PST) on Friday July 3rd, 2009 & ends at 6:00PM (PST) on Saturday July 4th, 2009. Only one entry per individual will be accepted. Registering to attend the public memorial service does not guarantee you tickets. Two tickets will be issued to each randomly selected attendee.